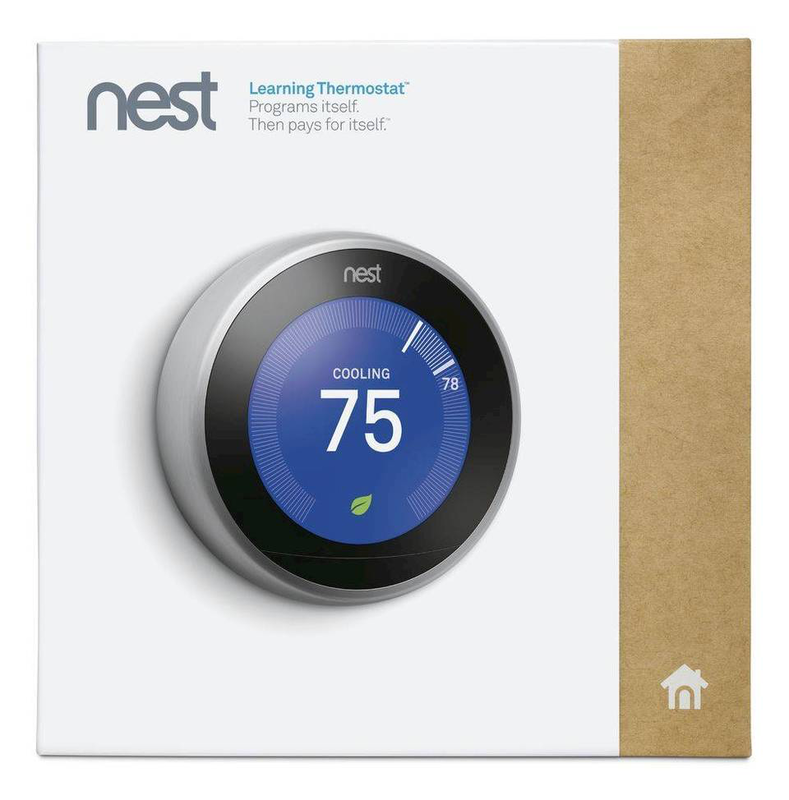 Nest Learning Thermostat programs itself to help save energy and you can control it from anywhere with the Nest app. Simple installation: pop off your old thermostat and install your New nest. When the Nest Thermostat notices you're there, Farsight shows you the temperature, weather or time. You can even choose a digital or analog clock face. Farsight is big and bright on the beautiful display-you can see it from across the room.